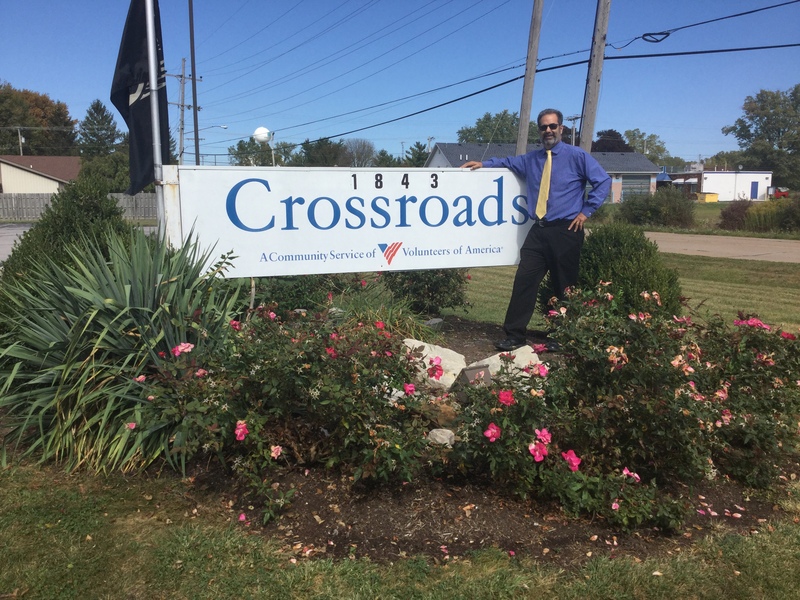 When the Crossroads Community Campaign began, I felt several conflicting emotions. I knew the Crossroads building was in dire need of updates. I was excited that our organization was committed to improving the conditions of this homeless shelter. And I was nervous because all of this had a price tag of one million dollars. I felt apprehensive about the goal, after all it’s a big goal! But deep down, I knew the Sandusky community has always been here for Crossroads. The community has been with us here for over 10 years, since we first opened Crossroads. And as the months passed, I realized there was little need for any feeling of apprehension. As we met with our community leaders, foundations, and donors I felt overwhelmed by support, understanding, and the overall willingness to help. It reminded me how Sandusky may be a small community but is no doubt filled with a big heart and a ton of pride. The response to the Crossroads Community Campaign not only exemplifies the heart of the community, but it demonstrates when a community comes together, they can affect real change. As I walk around Crossroads today, the improvements overwhelm me. They’re fantastic! And I know they wouldn’t have been accomplished without the supportive Sandusky community. It’s a space filled with a renewed sense of purpose and determination. The space inspires and encourages people to rebuild their lives and work towards reaching their full potential. Crossroads, without a doubt, is once again filled with hope. So here we are a year later, and I am so full of Sandusky Pride. Pride in the Sandusky community for their unwavering support. Proud to be part of an organization that supports, uplifts, and cares for people when they are most vulnerable. And I’m personally honored to be a part of this successful campaign, knowing that we’re supporting the lives of our fellow citizens who come to us in a time of need. Today, when you walk into the building it’s immediately obvious that our goal and vision have been accomplished. I feel that Crossroads not only supports the physical well-being of our neighbors in need, but because of the improvements, it also greatly impacted their emotional well-being. And that, I believe, will help and change each man, woman and child, forever. I offer my most heartfelt thanks to the community, individuals, families, foundations, organizations, businesses, and churches who’ve helped this year. You’ve left all of us at Volunteers of America humbled by your spirit, generosity, and kindness. You’re a part of Crossroads and now have sustained it for many years to come. You are the hope that floats through the air at Crossroads. And you are there for every person who seeks shelter in their time of need. And every person who has helped at Crossroads, has become one of our many heroes. The renovations at Crossroads may be done, but our work continues. You can help more of our neighbors end their crisis and homelessness. Only by working together will our community thrive and remain vibrant. Take a tour, send a donation or call us with your own ideas to help.